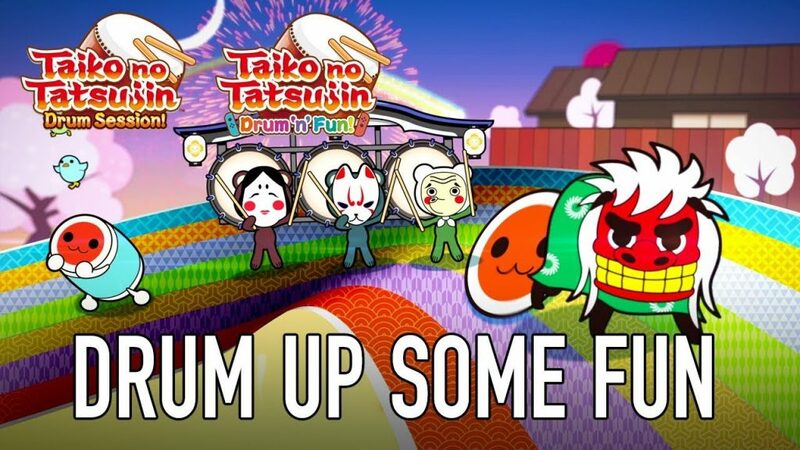 Update 31/07/2018 9:47AM GMT: Bandai Namco have confirmed to Gematsu that both Taiko no Tatsujin: Drum Session and Drum ‘n’ Fun will be digital only in the West. *Update* Bandai Namco has confirmed to Gematsu that both Taiko no Tatsujin: Drum Session! (PS4) and Drum ‘n’ Fun (Switch) will be digital-only releases in the west. Bandai Namco have announced that Taiko no Tatsujin is returning to the West with not one, but two new titles coming to North America and Europe on 2nd November 2018. The first is Taiko no Tatsujin: Drum Session! on PlayStation 4 that was released in Japan and Southeast Asia last year. The second title is Taiko no Tatsujin: Drum n’ Fun! on Nintendo Switch that recently came out in Japan and will release in Southeast Asia on August 9th. Using the Joy-Con® controllers as drumsticks, Taiko no Tatsujin: Drum ‘n’ Fun! for Nintendo Switch® introduces motion-control play that replicates the popular arcade-style experience, enabling Nintendo Switch® players to fully take advantage of the platform’s unique capabilities. During Rhythm Mode, players will be able to use platform exclusive characters with power-ups from classic Nintendo® games such as Kirby from Kirby® and Squid from Splatoon® 2. Taiko no Tatsujin: Drum ‘n’ Fun! also features 20 multiplayer rhythm-based mini-games that can be played by up to 4 players using additional controllers. Taiko no Tatsujin: Drum Session! for PlayStation®4 plays to the spirited competitive side of Taiko with its Ranked Mode, enabling players to connect online and test their skills against Taiko players around the world through ghost data. Players will also have the chance to unlock costumes, sound effects, and greetings for the Taiko no Tatsujin mascot, Don-chan, and can play Guest Session with popular characters such as Hatsune Miku® and Hello Kitty®. Here is an announcement trailer for both titles.